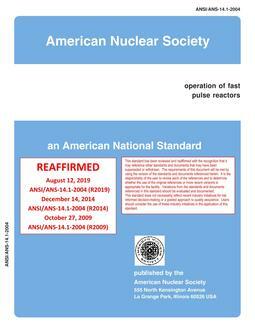 This standard identifies and establishes the content of technical specifications for research reactors. Areas addressed are as follows: Definitions, Safety Limits, Limiting Safety System Settings, Limiting Conditions for Operation, Surveillance Requirements, Design Features, and Administrative Controls. Sufficient detail is incorporated so that applicable specifications can be derived or extracted.